Why Are Sales People So Hard To Find? How Can You Find Them? Most sales people are great at selling themselves, however you won’t know they’re truly great until about a year into the role. There are a few qualities which are critical in analysing whether someone is a great sales person or an average one. - They are good listeners who can take criticism. Sales isn’t always about the deals, it’s about building relationships and making them a success. Great sales people should be good at listening so they can establish what people want and need. They also need to be able to take on board criticism so they can continuously improve, develop and evolve. Furthermore, they must be highly empathetic – building relationships and trust takes emotional intelligence and a genuine ability to care. The best sales people know their clients and know what they need, want and value. They will also care about them and understand their relationship is more valuable than their money. In an interview try and get people to describe their relationships with their current and past clients. Good sales people are competitive, usually highly so. They want to be the best and they want to achieve their goals. If they aren’t passionate about beating the competition, they are unlikely to be a great salesperson. Great sales people love praise and recognition for their hard work. They also don’t quit great companies so if your sales people are leaving, it might not be because they are not making their number but because customers aren’t buying what they’re selling. Finding great sales people with all these qualities is a challenge but not impossible! Great people don’t quit great companies. If you’re a great company and you have great sales people but are still struggling to find more great people, it’s because your calibre of people are currently in other great companies and doing great things. 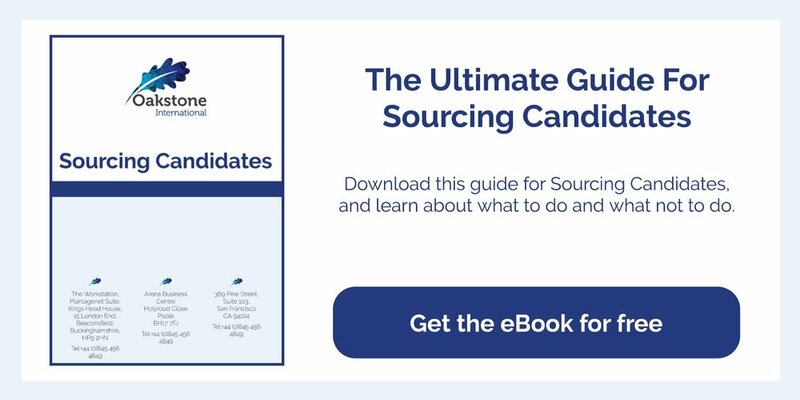 Most companies focus their recruiting efforts on inbound recruitment focusing solely on active candidates and rely on great talent to approach their company. What’s wrong with this approach? You’re missing out on all those great people who are making loads of money in great companies. By working with executive search firms, you can target these people and present your opportunities. Hiring the wrong sales person or losing a really good one can be detrimental to your long and short term success so implement the right recruitment strategy to make sure you’re focusing on the right hiring qualities or work with your recruiting partners to create the right recruitment strategy for you. Is Being Yourself Good or Bad For Your Career?